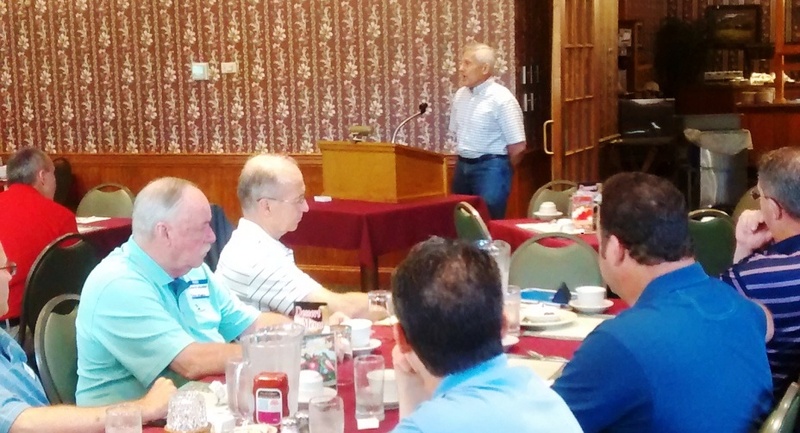 More than week has passed since the June Modular Home Builder Breakfast where Andy Gianino, president of The Home Store, spoke about the future of the modular housing industry. During that time I have reflected on what happened. First, let me thank everyone that came to the breakfast and hopefully you had a good experience. When Andy began talking about improving our industry through consolidation of builders something rather magical happened. Everyone started talking. Not just talking about what Andy had to say but spontaneous discussions about every phase of the modular industry. It has been years since this has happened. It’s what’s needed right now for modular housing. For more than a decade builders and factory owners and management have had no forum to speak at to get things off their chests. No meetings, no councils and certainly not any place where both factories and builders could speak their minds without bashing a single factory. The timing was right and Andy was the catalyst that opened the floodgates of pent up frustrations. His talk, short changed by all the people wanting to speak, was indeed the best thing that could have happened. As I sat there listening to first one builder say something, then another followed by factory person after factory person, I marveled at the years of hard work, industry knowledge and entrepreneurship sitting in front of me. Some people said nothing and that was OK as there were plenty that did. Was anything resolved? No. Were any plans made? No. What did happen was the germ of an idea that everyone can sit down and begin working on what Andy called the “betterment” of our industry. 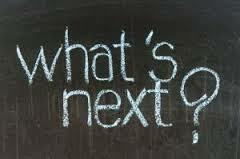 The real question that needs answered is what is the next step? Well, that is a tough one, isn’t it. Andy has agreed to return in October and hopefully we will have begun thinking about our future and this time let him guide us through his thoughts. To better understand the direction Andy would like to see our industry go, Click Here to read his article which was the basis for his talk last week and what he will continue in October. Here is an idea. All manufacturers will add $50 per unit fabricated. This money will be used to fund an annual marketing campaign to promote the industry. Its time for manufacturers and builder to put up or shut up. Then the manufacturers will add $100 to the builder, pocket the $50, put all the money into a big bucket for a marketing campaign that will never go anywhere because none of manufacturers every agree on anything and after 5 years the money will get divided and given back to the manufacturers. Sounds like it just might work. The prior two comments sum it up - trust between the builders and the factories for promotion of the industry is limited. Factories are in the business of selling homes to builders not consumers, although it could be an interesting event if a factory hired crews who turn-keyed developments or projects within 150 miles of the factory. Builders are in the business of selling the final product to the consumer. Maybe it is time that the builder community decide how to market against the NAHB builder by demonstrating the advantages to consumers in both word and deed. It is time for modular home builders to put on their "Big Boy Pants" and understand that they need to market and promote themselves as a value option versus the NAHB builder in their local area. Modular cannot and will never be able to match the national tract builders but we can and should be effectively marketed against the scattered lot or niche local builders who build 4-20 homes in a local trade market. Factories use and are on social media promoting modular construction and its advantages; albeit some more effectively than others, but where are the local builders? Being a home builder is a business learn to run it like one or pursue other options. Factories are NOT in in the business of sourcing your leads, generating your referrals, or growing your builder business. Factories build and sell floors to those who can and will market effectively to the end consumer which is YOU the BUILDER not the HOME BUYER. Folks, it takes a lot of money to pull off a serious PR campaign. Builders can't/won't do it. Factories (other than the largest/multi-branded ones) can't/won't do it. We need aggregation. We need to consolidate resources. We need economies of scale. Lean on MHBA to do it. I'll take the latter, since Hardiman's outfit is far more flexible and fleet of foot than the monster NAHB. Using funds as described above, many thousands of dollars could be collected and directed by MHBA-member factories into MHBA's coffers, earmarked ONLY for PR to end-users (home buyers). $5-10K gets you a pretty darned good website targeting consumers searching for "better building" or "faster buiding" or - simply visit Blu Homes or Express Modular and take note of their model of SEO success. As a builder, I have no problem paying $75/box to my factories. If the factory takes a $10 cut for handling, and MHBA get's $65, I'm fine with that. If I spent $1500/yr on 20 boxes, MHBA would get $1300 - FROM JUST ONE BUILDER. I could never create much of a website or PR campaign with $1300. But if MHBA generates $20K from dozens of builders, now we have a PR budget worth considering! Therefore, we want our factories delivering the best quality at a good price. We want them focusing on cranking out product. Sure -- keep at least a decent reception area for retail visits/tours. And direct all your marketing resources on Sales management. Otherwise, don't even think about mounting a nationwide PR campaign. It's not in your interest (as you've made clear for decades) and it's not in ours (builders) because, well, you are really quite lousy at it. Taken a step further, in Andy's model, 10 builders franchise together (co-op, consolidate, aggregate, etc), approach a factory as a united front, and demand that change happen... Can't wait 'til Oct Builder Breakfast!